TrustGo | Unified Protection, Secured Search. Trust & Go! 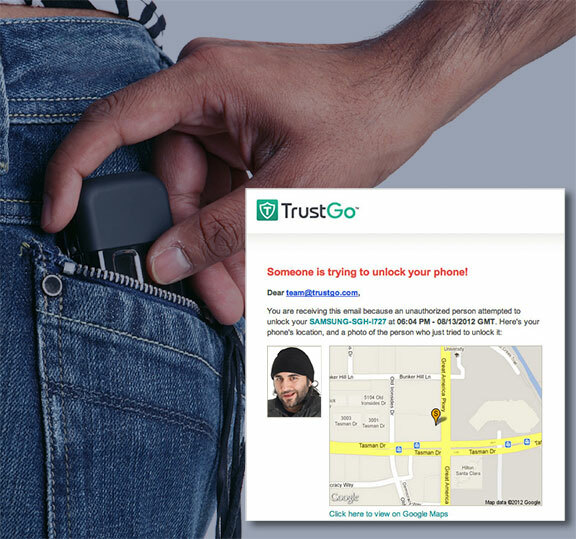 Santa Clara, Calif., August 15, 2012 – TrustGo Mobile Inc. (TrustGo), a leading mobile security company, announced that it has released a new “Candid Camera” feature in version 1.1.11 of its mobile security application that takes a photo of any person who unsuccessfully enters a locked phone’s password three times. The intruder’s photo is then sent to the registered users’ email address. With the addition of this new feature, TrustGo offers the most comprehensive mobile security solution for Android devices. Remote Wipe — Gives the user the ability to remotely backup, then delete all the data on a phone to safeguard personal information. For a video demo of TrustGo’s Candid Camera feature, please click here. TrustGo’s Candid Camera feature works on any mobile device with a front-facing camera and access to a WiFi or cellular data network. Current TrustGo users can visit Google Play for an update to version 1.1.11, and new users can simply download the app for free. Web Browsing Security— Detection and blocking of malicious and “phishing” sites. TrustGo, a Santa Clara-based mobile security company, provides Android users the freedom and confidence to find, download and use the apps they love, wherever they find them. Dedicated to providing the ultimate security platform for Android smartphones and tablets, TrustGo’s app offers a comprehensive suite of advanced security and mobile device management (MDM) features to the consumer for free. In addition to protecting users against traditional threats such as malicious app activity, privacy breaches, identity leaks, device loss and theft, TrustGo prevents users from downloading dangerous apps through its Secure App Finder Engine (SAFE). TrustGo was founded by web security veterans in 2011. TrustGo is available now on Google Play. For more information, please visit www.trustgo.com.